Florian Maria Georg Christian Graf Henckel von Donnersmarck (born 2 May 1973) is a German film director, best known for writing and directing the 2006 Oscar-winning film The Lives of Others and 2010's The Tourist, starring Angelina Jolie and Johnny Depp. Donnersmarck was born in 1973 in Cologne, West Germany, into the aristocratic Roman Catholic Henckel von Donnersmarck family, and grew up in New York City, Brussels, Frankfurt, and West Berlin. He is fluent in English, German, French, Russian, and Italian. After graduating at the top of his class from the classical high school Evangelisches Gymnasium zum Grauen Kloster, he studied Russian literature in Leningrad for two years and passed the Soviet State Exam for Teachers of Russian as a Foreign Language. He holds a Master of Arts degree in Philosophy, Politics, and Economics at New College, Oxford, and a diploma in Film Directing from the University of Television and Film of Munich. For more details on the family, see Henckel von Donnersmarck. The younger son of Leo-Ferdinand, Count Henckel von Donnersmarck, a former president of the German division of the Order of Malta and literary scout Anna Maria von Berg, Henckel von Donnersmarck holds German and Austrian citizenships. His father's only brother, Gregor Henckel-Donnersmarck, is the emeritus abbot at Heiligenkreuz Abbey, a Cistercian monastery in the Vienna Woods, where Florian spent a month writing the first draft of The Lives of Others (German: Das Leben der Anderen). Henckel von Donnersmarck is married to Christiane Asschenfeldt, former International Executive Director of Creative Commons. They have three children and currently live in Los Angeles. He is 205 cm (6 ft 8 in) tall. 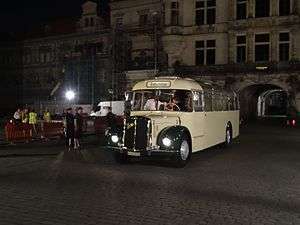 Donnersmarck sitting in the bus during the shooting of the "Werk ohne Autor" in Dresden. In 1977, while living as a child in New York, he saw his first movie at the Museum of Modern Art. He expected to see Doctor Dolittle but was "exposed instead to" the German melodrama Varieté. "He cites this experience as the start of his interest in film." In 1996, he won a directing internship with Richard Attenborough on In Love and War, and then went to study at the Fiction Directing Class of the Hochschule für Fernsehen und Film München (University of Television and Film Munich), Germany, alma mater of directors as diverse as Wim Wenders and Roland Emmerich. His first short film, Dobermann (which he wrote, produced, directed and edited), broke the school record for the number of awards won by a student production. It became an international festival sensation, and Donnersmarck travelled the festival circuit for over a year. His first feature film Das Leben der Anderen (The Lives of Others), which Donnersmarck spent three years writing, directing and completing, won the European Film Award for Best Film, Best Actor and Best Screenplay in 2006. Donnersmarck won the Los Angeles Film Critics Association's award for Best Foreign Film, was nominated for the Golden Globe (which went to Clint Eastwood instead), and on 25 February 2007 won the Academy Award for Best Foreign Language Film. His next film, The Tourist, which Donnersmarck re-wrote, directed and completed in under 11 months (telling Charlie Rose he had wanted a break from writing a dark screenplay about suicide), was a thriller starring Angelina Jolie and Johnny Depp. The film was nominated for three Golden Globes: Best Musical or Comedy, Depp for Actor Musical or Comedy and Jolie for Actress Musical or Comedy. It also won three Teen Choice Awards nominations (Best Picture, Best Actor, Best Actress) of which it won two. The film grossed US$278.3 million at the worldwide box office, prompting The Hollywood Reporter belatedly to proclaim it an "international hit". In 2007, Donnersmarck was one of 115 new members to be invited to join AMPAS. In a 2010 interview with The Guardian, director Howard Davies named Donnersmarck as the artist he most admired. René Pollesch wrote a play, L'Affaire Martin!, which poked fun at von Donnersmarck. According to Pollesch, the director's parents attended a performance and came backstage to say they liked it. After meeting him at the Davos World Economic Forum, Jay Nordlinger, writing for the National Review, described Donnersmarck as "one of the most impressive people on the planet". In 2011, Donnersmark was honoured by the University of Oxford, his alma mater, as one of its 100 most distinguished members from 10 centuries. Other honourees included Duns Scotus, William of Ockham, Erasmus of Rotterdam, Saint Thomas More, John Locke, Christopher Wren, Adam Smith, Lawrence of Arabia, Oscar Wilde, J.R.R. Tolkien and living university alumni Rupert Murdoch, Bill Clinton and Stephen Hawking. For the cover of the 2011 Prospectus, Oxford University named 100 streets in Oxford's historical centre after these graduates. Upper Oxpens Road was renamed in the prospectus for Florian Henckel von Donnersmark. ↑ "Interview: Florian Henckel von Donnersmarck of The Lives of Others". Blog.oregonlive.com. Retrieved 8 October 2010. ↑ Rohter, Larry. "German Director Plunges Beyond His Comfort Zone", The New York Times, 8 December 2010 (9 December 2010 p. C1 NY ed.). Retrieved 8 December 2010. ↑ "HFPA - Nominations and Winners 2010". Retrieved 2010-12-22. ↑ "The Tourist (2010)". Box Office Mojo. 24 April 2011. Retrieved 24 April 2011. ↑ "Box Office Shocker: The Tourist has Become an International Hit". The Hollywood Reporter. 2 June 2011. Retrieved 14 September 2011. ↑ Academy Invites 115 to Become Members Archived July 1, 2007, at the Wayback Machine. ↑ Laura Barnett (18 October 2010). "Portrait of the artist: Howard Davies, director". The Guardian. ↑ J. S. Marcus (17 August 2007). "Theater With a Biting View of Society". Wall Street Journal. 1 2 3 "The self-perception of Europeans in comparison with the perception of other countries". Goethe Institute. Cooke, Paul (2013). The Lives of Others and Contemporary German Film: A Companion. Walter De Gruyter Incorporated. ISBN 978-3110268102.
von Donnersmarck, Florian Henckel (2006). Das Leben der anderen. Frankfurt am Main: Suhrkamp. ISBN 3-518-45786-1.
von Donnersmarck, Florian Henckel (2007). Das Leben der anderen. Geschwärzte Ausgabe. Frankfurt am Main: Suhrkamp. ISBN 3-518-45908-2. Nagel, Daniela (2008). Das Drehbuch - ein Drama für die Leinwand? Drehbuchanalyse am Beispiel von Florian Henckel von Donnersmarcks "Das Leben der anderen". Tectum Verlag. ISBN 978-3828897243.
von Welfesholz, Ella-Luise (2011). Henkel von Donnersmarck: Bankiers, Industrielle, Oscar-Preisträger. Doyen Verlag. ISBN 978-3841700292. Interview, by Charlie Rose, aired 2010-12-07, with transcript. 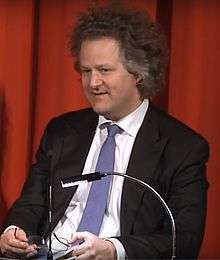 Wikimedia Commons has media related to Florian Henckel von Donnersmarck.